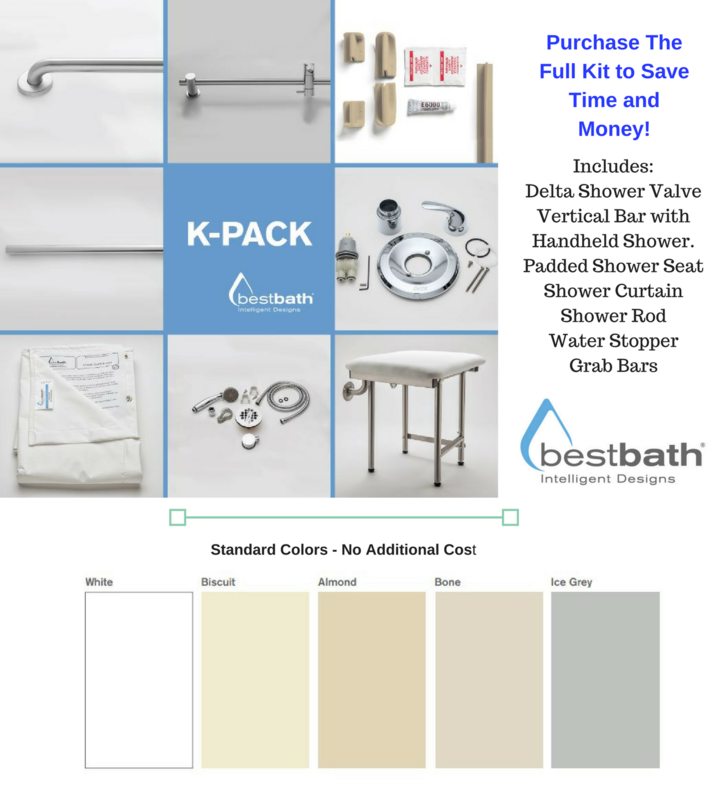 This is a 5-piece Barrier Free shower. The model has a 1″ threshold with a Left or Right End drain, a beautiful 8" Real Tile wall pattern finish, and three built-in soap dishes. These are the finest retrofit accessible shower available on the market today.